A resume is conceived as the most crucial tool for the job hunt. Though you may have an honorable qualification and years of experience, when you hand over a crook resume, you would be quashed of being hired. Taking time and focusing on developing a quality resume is mandatory for job opportunities to knock your doors quickly. A research carried on by ‘the Ladders’ states that recruiters take just six seconds to decide whether the applicant is fit or unfit by glimpsing their resumes. With such high competition presenting a flawless resume is vital to gain interview calls. 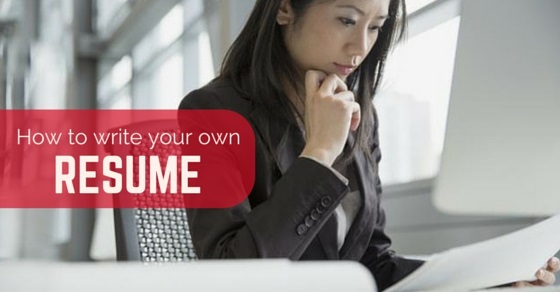 Writing your own resume is a responsibility with a few tips which is mentioned below. Basic types of resumes are many in number to apply for job applications. Choosing a right type of resume such as a functional, targeted, chronological, or a combination one should be finalized. It is vital to take enough time and focus on the type of resume. For the host of employment sites, sample resumes and formats are the right revision for any applicant before they begin composing their own curriculum vitae. The sample resumes and formats would assist job searchers with a number of examples that would be worthy for their job hunting. While composing a CV, it should include the intention of writing the curriculum vitae. The job seeker should mention that he is satisfying the job requirements and is employable. Moreover mentioning the appropriate experience and accomplishments are important. Since recruiting management software is mainly used by companies to screen resumes, so using the appropriate keywords that target the jobs is vital to get your resume pass through. It is forever safer to compose a resume based on a resume template with information on it. Personalize your resume and add details such as communication details, opening statement, a number of key skills, listing technical skills, educational qualification, personal attributes, and so on. The key aspect to focus on writing all details is to put forward most useful information first. An objective of a resume is very crucial as it is the start of the resume. Peri Hansen who is the principal of a recruiting firm mentions that the objective is the quickest way to pigeon hole yourself to the employer. A clear explanation of who you are and what your are looking for can be mentioned with powerful words in the objective. Your experience should be related to the job applying for and a minimum of 10 to 15 skills can be cited. When a job is advertised, the description would have a set of jobs skills and experiences required. When you print your skills and experiences they should react to all the points noted in the ad. Technical and software skills in which you’re skilled at can also be mentioned for technical applicants. 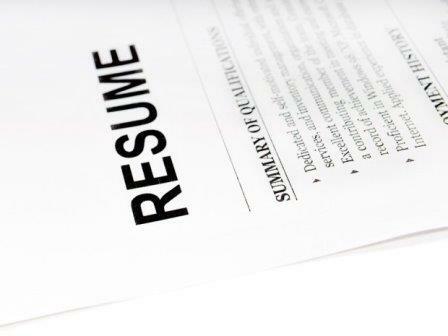 Job seekers are usually baffled when they write their resume as the size may be prolonged. The length of the resume can vary depending upon the educational qualifications and experience. If you have less experience, then a one or two page resume can be apt. 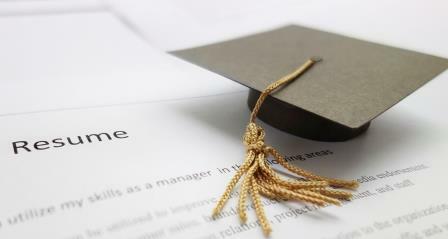 In case you have lengthy graduation and work experience, three pages of resume can be ample. Remember not to bolster out the resume and add only necessary information to it to make it straight and presentable. In this section, ones highest level of education can be mentioned. This section opens up that you’re qualified for the job. A few bullet points can be used to highlight your academic achievements such as awards won, school captaincies and more. Employment history is mandatory to be included in any resume. Job seekers should make a point to initiate this session by writing down the most recent job first and navigate backwards. For every job, list down the achievements for that particular job and contributions made to the organization. Also make sure that all these match to the accomplishments and strengths mentioned in the beginning. 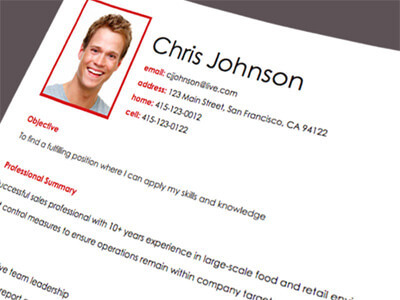 To get a right stamp for the resume, formatting it should be carried out. Do not use multiple fonts on several sections of the resume, but alternatively can use bold or italicized format in resumes. The font used for your header can be 14 or 16 and not greater than this. A black ink printing with a professional font such as Aerial, Calibri, Times New Roman or Classic Serif Font can be employed. One inch margin all ways around along with 1.5 to 2 point line spacing can be a pure alternative. Make sure to align the body of the resume to the left and header to the center of the page. This puts up a presentable look to the resume. Providing information about references is another key tip to be focused upon. 2 to 4 professional references with their details such as name, contact details and their relationship to you can be provided. Provide references where you’ve performed your best under their guidance. Composing a resume should intend to catch others attention, in that manner utilizing creative resume titles would impress the employer. For example, a cashier can be mentioned as a customer service professional. In the same manner your skills and abilities can be highlighted by making use of action verbs. Describe your responsibilities with the help of verbs to make your resume stand out of the crowd. Aside from skills, experience and strength a job seeker should remember to formulate a resume in a confident way, highlighting strong points in it. A perfect example would be to start with the best grades first in the educational section. Details can be deflected in a resume, but the job seeker should be honest and provide precise and true details in the resume. The job seeker should never forget to proofread and spell check the resume after writing it. Spelling and grammar mistakes get your resume rejected, though skills and experiences are present. Hence proof reading with friends many times is a must after writing a resume. Job seekers should make sure to tailor their resume according to the specific job meeting its requirements. It is never mandatory to alter the complete resume, but the opening statement, skills and personal imputes should respond to the job applied for. Your work experiences included should also match with the applied job. It can be a good suggestion to avoid writing hobbies, mainly when it’s irrelevant to the job applied for. All information on the resume should be associated with the applied job. So avoiding irrelevant data can save your time as well as the employer’s time. Writing a resume requires the job seeker to research the company website before formulating the resume. Using the company’s websites one can get to know repeated words, phrases, hints, taglines and more. By this way the philosophical approaches of the company can be studied. Writing a resume with the above mentioned tips can make your resume look professional and perfect. There are a number of strategies to be followed before writing a resume. From the start till the end, a resume should be taken care on all information described on it. By this way it is assured that a perfect and presentable resume is prepared for a job interview. Above all the main idea is to formulate a concise, clear, consistent and easy to read resume. Next articleWhy make a Video Resume – Do Employers Want Them?